Here at Shadwell Dental Care, we understand that the appearance of your teeth can hugely affect the way you feel about yourself. That's why we offer a wide range of restorative and cosmetic treatments to give you even greater confidence in your smile. Teeth whitening is the most requested cosmetic dental treatment in the UK. It is reassuring to know that dentists are regulated by the General Dental Council. Only dentists are qualified to give advice on teeth whitening treatments. At this practice you will be treated by a dentist and the emphasis will be on your safety as much as getting a good result. In the hands of a trained dentist using good quality materials tooth whitening is the most effective and least intrusive procedure to lighten your teeth. It is also a safe and straight forward treatment. 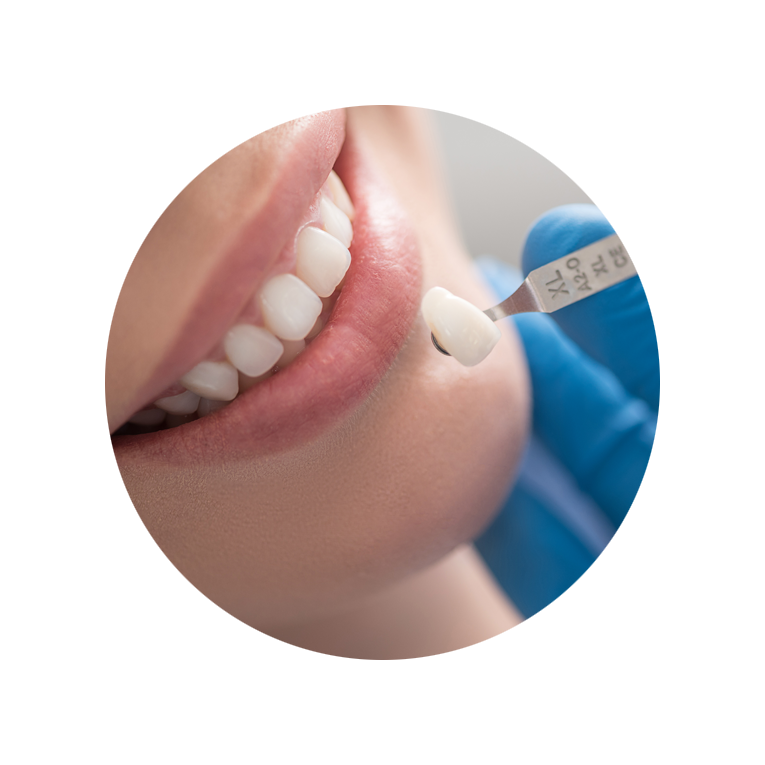 At Shadwell Dental Care we use a high quality whitening product from wy10 which is scientifically proven to give excellent results compared with other major brands. All teeth whitening treatments start with a consultation, everyone's teeth are different your dentist will advise you on the best choice from the available treatments. The fastest way to achieve the whitening result. The procedure involves one or more whitening sessions in the dental surgery. During the process sensitive tissue in and around your mouth are carefully protected. wy10 gel is then applied to your teeth. Your dentist uses a thermal diffuser to speed up the action of the gel. The session lasts about an hour. This will be followed up by at home whitening to maintain the result. 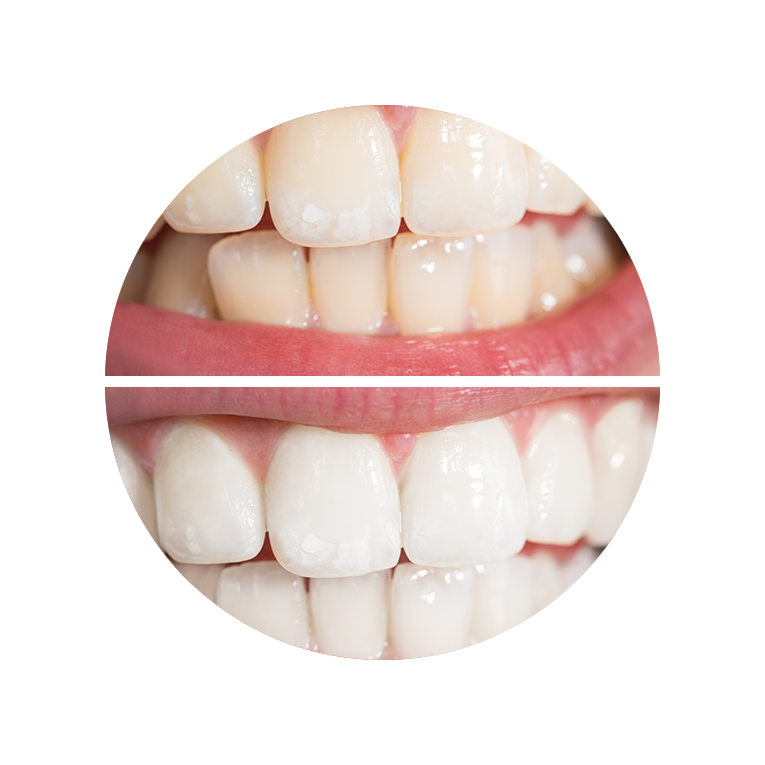 The traditional method of tray whitening takes longer to achieve the same result. However for patients not requiring immediate results and want some involvement with the treatment, tray whitening is an effective option. Teeth whitening, using wy10 products, is both effective and comfortable. There is no need to change your lifestyle to preserve the whitened teeth as retouching is just as easy and comfortable. Veneers are made of a thin but incredibly strong shell of porcelain or ceramic, bonded to the front of your existing teeth to improve your appearance. Masking heavily-stained teeth, where whitening is not an option. 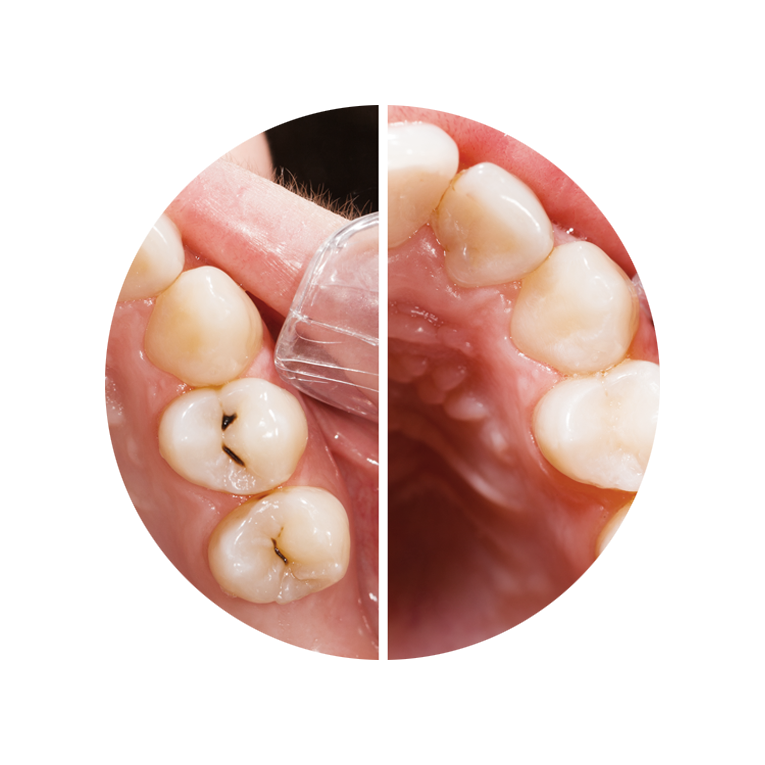 Correcting severely worn or chipped tooth enamel. Re-aligning slightly crooked teeth or filling in natural gaps – giving you a perfect smile. The first step will be an examination by your dentist, who will talk to you about the results you are trying to achieve. As with crowns, your dentist will prepare your teeth, and make an impression to send away to the laboratory. At a follow-up appointment, your dentist can subtly change the colour and shade of your veneer before positioning it in place and applying a specialised light beam to quickly harden the cement bonding the it to your tooth. A more natural-looking alternative to traditional silver amalgam fillings, white fillings also allow your dentist to preserve as much of your natural tooth as possible. They are an ideal way to restore function and strength to damaged teeth. Build up cracked or chipped teeth. Close gaps, re-shape uneven or short teeth. Fill cavities caused by tooth decay. Replace metal or amalgam fillings. Our team of dental professionals can build up white fillings to create perfect, yet invisible, restorations that blend into the rest of your smile. A crown is an artificial restoration that fits over the remaining part of a prepared tooth, making it strong and giving it a natural shape. Fixing broken teeth or those weakened by decay. Improving the look of badly discoloured teeth or unsightly metal fillings. Holding a bridge or denture firmly in pace. Your dentist will first discuss your treatment with you and, once you are both happy, prepare the tooth, take an impression and fit a temporary crown. The impression will be sent to expert technicians who will make your crown. At a second visit, this will be replaced by the permanent, natural-looking crown, to give you back your beautiful smile. A bridge can replace one or more missing teeth. It spans the space where the teeth are missing and is firmly cemented to the teeth or implants on either side. Because they are custom-made, bridges are barely noticeable and can last up to 15 years with good dental hygiene. Restoring the natural contour of the teeth. Maintaining the proper bite relationship between the upper and lower jaw, preventing stress on other teeth. Improving the appearance of the mouth, bite and speech. 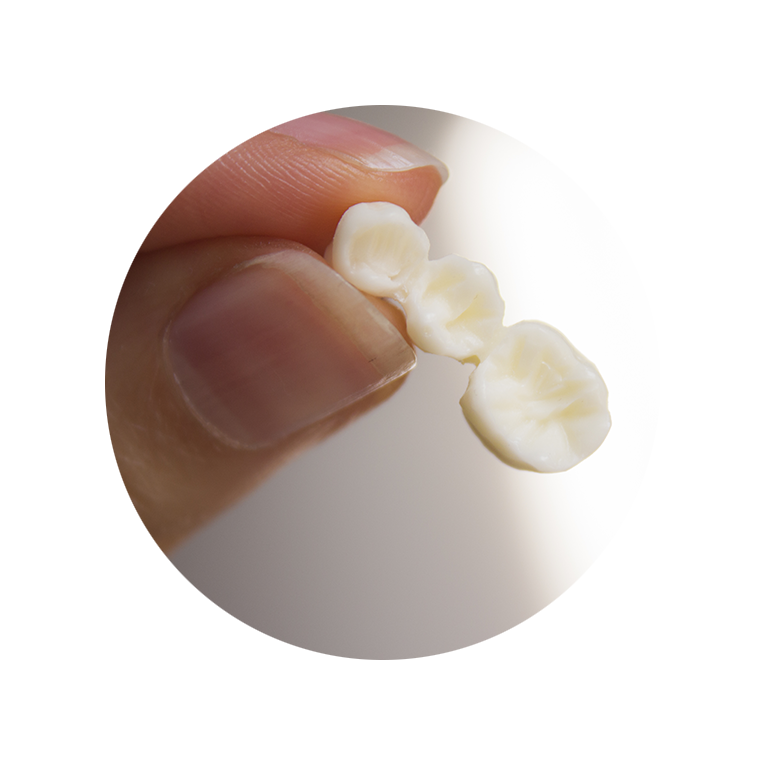 There is a choice of materials for bridges and we will be happy to help you to decide which material is best, based on where the teeth are missing, their function and how you want them to look. Our bridges are made by trusted lab technicians to the highest of standards and are expertly designed to match your natural teeth. Our dentists can create partial or full dentures to replace missing teeth, providing substantial benefits for your health and appearance. A full denture replaces the natural teeth in the upper or lower jaw and supports the lips and cheeks, allowing you to enjoy the food you love and smile with confidence. A partial denture fills spaces created by missing teeth and uses an acrylic or metal framework to keep it in place by connecting it to surrounding teeth. 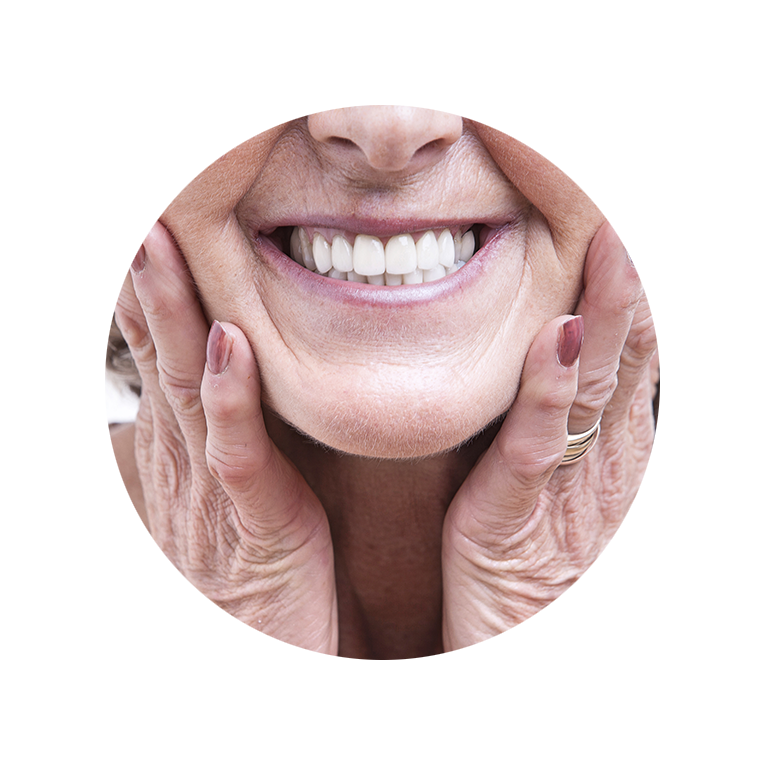 Replacing lost or missing teeth with dentures has substantial benefits for your health and appearance. Rectify difficulties in speech and eating caused by missing teeth. Dentures can sometimes be used with dental implants and our dentists can advise whether you would be suitable for this procedure. Millions of natural teeth are saved every year with root canal treatment. Your dentist will fully discuss your individual care needs and the entire procedure can usually be completed in one or two appointments. The treatment involves removing infected pulp inside the tooth. Your dentist will then clean and fill the inside of your tooth to prevent further damage or infection. Creating a natural biting force and sensation. Protecting other teeth from excessive wear or strain. A tooth extraction involves the complete removal of a tooth from your mouth. This may be because of advanced tooth decay, gum disease, crowding or impacted wisdom teeth. Again, your dentist will consult with you fully about the process and discuss whether other options are available to you. 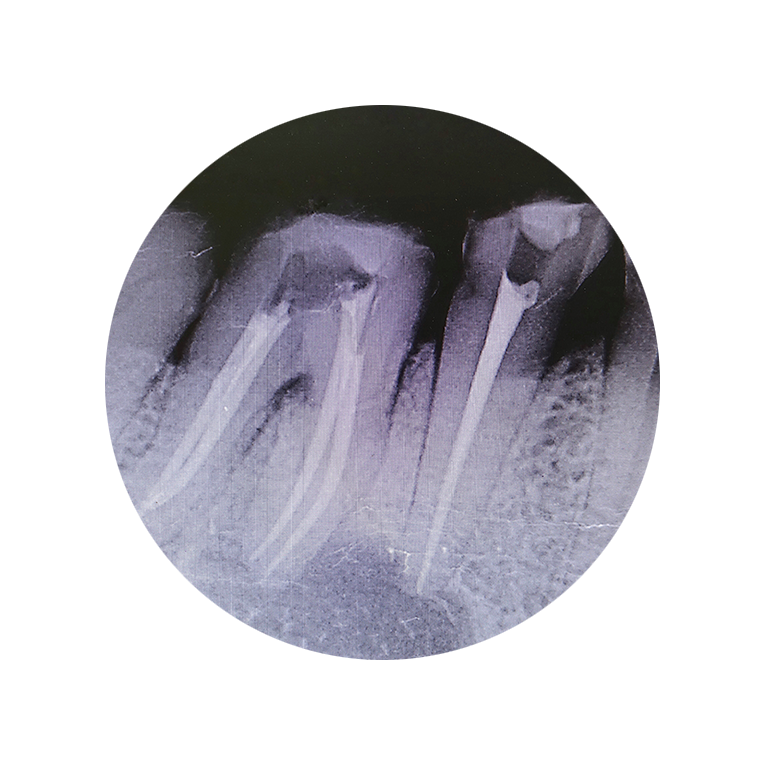 If an extraction is necessary, you will usually be put under local anaesthetic while the tooth is painlessly removed.